We just enabled a few Steam features in SNOW that will give you even more opportunities to customize your character and your Steam profile! You can now sell the items in your inventory you no longer use. At the moment only customization items (clothing and equipment) that are no longer available in the store or were exclusive rewards during the Early Access and Closed Beta phases are eligible for Marketplace. So if you own older items from previous seasons that are no longer purchasable in the store, and you no longer want them, you can now sell them to other community members on the Steam Marketplace and make some money. We will update the list of sellable items in the Marketplace as we progress and integrate more items from recent seasons, so don't worry if your current items are not sellable yet! 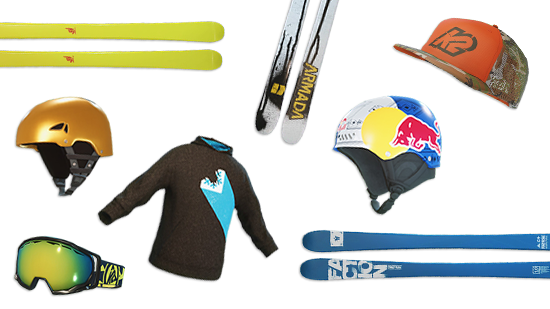 Go here if you want to start selling items or see which ones are already for sale! Steam Trading Cards are virtual cards earned by playing SNOW. Sets of cards can be turned into game badges and other cool customizations for your Steam profile. These cards can be traded with other players and rare rewards can be sold for real money in the marketplace. 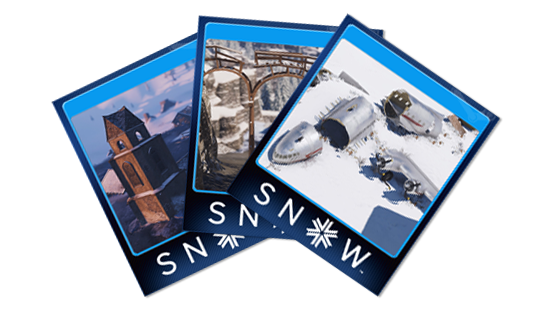 Play SNOW and receive half a card set during gameplay. The other half can be earned through collecting prowess. A full set of cards can be crafted into a game badge that can be prominently displayed on the profile and the mini profile. During badge crafting users receive random rewards from a set of game related items, including emoticons and profile backgrounds. This post doesn't show up in the main "News" list by the way. I wonder how may other posts don't show up there? The Facebook login for these comments also doesn't fully work, so I can only reply to others' comments. It looks like the avatars (profile pictures?) are also not working. Hmm, yes I also can't get to the word press profile area, it's a 404 error. The drop-down menu for that also goes behind part of the top nav. Intending to purchase an item or find solution customers are significantly making use of the Web. Traditional advertising is rooted in the past. In place of e-commerce sites and also online shops come marketplaces. Has any person collaborated with this newcomer https://opporty.com/? What are the outcomes?